How Do We Get More Salinas Kids Into College? Back in 2012, when word got around the Department of Education offices in Washington, D.C., that I would be leaving my role as assistant secretary for postsecondary education to become the president of Cal State Monterey Bay, many of my colleagues were quick to offer congratulations. After all, the glories of the Monterey Peninsula are well-known—perfect weather, beautiful beaches, world-class golf courses, outstanding restaurants. All this is true, of course, but it’s only part of the story. What might surprise my former colleagues—and what even surprises many long-time local residents—is that Monterey County lags the rest of California in many measures of education and economic wellbeing. According to U.S. Census statistics, only 71 percent of county residents age 25 and higher have high school diplomas, as compared to 81 percent statewide. Twenty-three percent of county residents have bachelor’s degrees. The statewide number is nearly 31 percent. Our per-capita income figure—in a county where living expenses are high—is well below the state average as well. Cal State Monterey Bay, located roughly equidistant from the tourist meccas of the Monterey Peninsula and the thriving agricultural fields of the Salinas Valley, is uniquely positioned to help address these issues. Our enrollment is nearing 7,000, with about 14 percent of those students coming from Salinas. Census statistics show that about one in five Salinas residents live below the poverty level, and 68.5 percent of residents live in households where a language other than English is spoken, compared to 43.7 percent statewide. Many of those Salinas students have stories similar to that of Jesús Ochoa Perez, who spent part of his childhood living with his farmworker parents and three siblings in one room. He attended high school in East Salinas, and, encouraged by parents who didn’t want their children to face life in the fields, he earned admission to Cal State Monterey Bay. Now about to begin his junior year, Jesús received the 2014 Cal State University Trustees’ Award for Outstanding Achievement. An honors student in math, Jesús discovered a love for teaching when, as part of CSUMB’s service learning requirement, he served as a tutor in a local elementary school. His goal is now to return to his neighborhood after graduation to teach high school math. Cal State Monterey Bay was founded two decades ago with a vision statement that called upon the university to “be distinctive in serving the diverse people of California, especially the working class and historically undereducated and low-income populations.” I became president in 2012, and found that for students like Jesús and many others, we were fulfilling that promise. However, we still had a big job ahead of us. The ethnic and racial makeup of our incoming classes reflected that of the local high school graduates. But too many students, particularly ethnic minorities, never made it out of high school. At a time when the economic and social benefits of a college degree have never been greater, we cannot afford to have promising students fall through cracks in the system. But when it comes to reaching out to the underserved and first-generation students, their needs cannot be met merely by opening our doors and letting qualified applicants through. We must help instill the goal of a college degree and build an effective educational pipeline long before it is time for prospective students to fill out college applications. At CSUMB, we have helped organize the Bright Futures initiative, based on a model adopted by more than 100 communities across the country. This community partnership of local education, social service, business, and philanthropic groups is designed to support an improved cradle-to-career educational pipeline. Partners will agree to set specific goals, then report regularly to the community on our progress toward achieving them. For example, other similar partnerships have focused on lowering rates of low-birth weight children, and improving key educational measures such as third-grade reading proficiency, eighth-grade math proficiency, and the percentage of ninth-graders on track for high school graduation. One successful piece of the developing pipeline is the University Promise program. Each year, we set aside days for local sixth graders to tour campus and meet students and staff. The young students promise to study hard and stay on track for graduation. In return, the university promises to save a spot for them if they complete high school and meet other basic requirements. As part of the pledge, the university will work with the students and their parents to help arrange financial aid. The outreach continues into the high school years. This summer, our campus is hosting a number of programs such as the Imagine College Summer Scholar Institute and Upward Bound, which give area high school students an up-close look at college life, in part through summer residential programs which help aspiring students find out what it is like to live and learn on a college campus. Last year, CSUMB also received $14 million in grants to serve 3,620 local high school students through Gaining Early Awareness and Readiness for Undergraduate Programs—GEAR UP—administered by the U.S Department of Education. GEAR UP provides academic and financial aid advising, tutoring, college field trips, and other activities that help students prepare for and apply to college. We have also instituted several programs designed to support these students once they are enrolled. One of our most recognized initiatives is CS-in-3, a program that allows students to earn a computer science degree in three years. A collaborative effort between CSUMB and Hartnell College in Salinas, CS-in-3 was awarded $5 million in the inaugural California Awards for Innovation in Higher Education competition earlier this year. Seventy-three percent of CS-in-3 students are Latino, 40 percent are female, and more than half are the first in their families to attend college. Students follow a pre-determined series of courses and commit to more than 10 hours per week of organized study and enrichment activities outside the classroom. During their second and third summers in the programs, students complete paid internships. Thanks to substantial scholarships from the Matsui Foundation and a National Science Foundation grant, many of these students graduate with no debt. But we can still do more to get local students enrolled. In the near future, we plan to increase our outreach to Salinas residents through our purchase of the National Steinbeck Center in Oldtown Salinas. 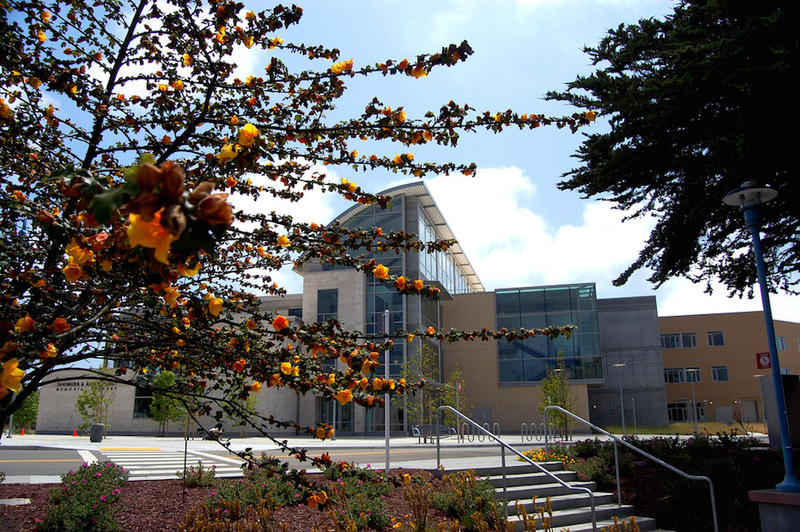 When that deal is concluded (it just received an important approval from the state attorney general), the center will provide CSUMB with a highly visible and accessible Salinas facility for professional development and degree completion programs. Yes, these efforts are ambitious. Yes, the full benefits will take time to reach fruition, perhaps 10 years or more. But it is central to our university’s vision and to our commitment to help students like Jesús Ochoa Perez find their passion, graduate, and build stronger communities. Eduardo M. Ochoa, a native of Argentina, is a long-time faculty member and administrator in the CSU system. From 2010 to 2012, he served as assistant secretary for postsecondary education at the U.S. Department of Education. He has been president of Cal State Monterey Bay for three years. This essay is part of Salinas: California's Richest Poor City, a special project of Zócalo Public Square and The California Wellness Foundation. *Photo courtesy of CSU Monterey Bay.